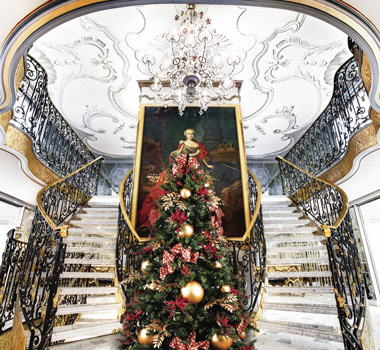 This December, immerse yourself in the magnificent sights and sounds of Europe during the festive season, while enjoying unsurpassed luxury on board an exquisite Uniworld ship. With seven all-inclusive holiday season itineraries to choose from, you could be spending the most wonderful time of the year, in one of Europe’s most wonderful cities. Experience the aromas of roasting chestnuts and gingerbread at a Christmas market, stroll through ancient piazzas strung with twinkling lights, and hear carols sung from the cloisters of majestic cathedrals. After breathing in the crisp winter air, retire on board a festively decorated, one-of-a-kind vessel, to enjoy Uniworld’s unrivalled service and world-class cuisine. 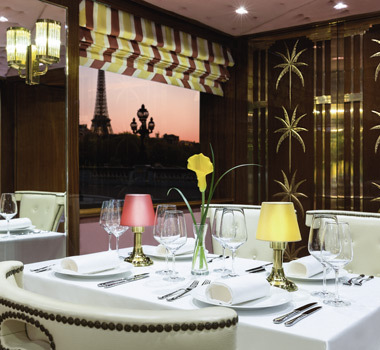 Uniworld’s ‘City of Lights’ tour is a luxury eight-day cruise that departs and ends in the most romantic of French cities, Paris. Savour the sights of the glittering Eiffel Tower and the historic Tuileries Gardens, or take a leisurely bike ride along the banks of the River Seine. Enjoy Christmas shopping for the family at the stylish boutiques along the Champs-Élysées or at famed department store, Galeries Lafayette.Soak up the splendour and history of the French royal family with excursions to four stunning French châteaux. Visit UNESCO world heritage site and 18th century home to Marie Antoinette, Château de Versailles and attend an exclusive champagne reception with the owners of a 17th century château in the heart of Paris. Feast at renowned restaurant La Couronne in the medieval city of Rouen, and bring out your inner artist with a masterpiece painting class in Monet’s studio. Experience this once-in-a-lifetime French journey from the unparalleled comfort of Uniworld’s spectacular super ship, the S.S. Joie de Vivre. The all-inclusive package incorporates gourmet meals and snacks, unlimited beverages, elegantly appointed accommodation, state-of-the-art wellness facilities, enchanting excursions and on-board entertainment. Book now to secure your place on one of Uniworld’s seven festive European itineraries, including the all-inclusive ‘City of Lights’ cruise for just $3,599pp departing on four dates through December 2018.